In our shop we now have a new book box edition available for immediate delivery! 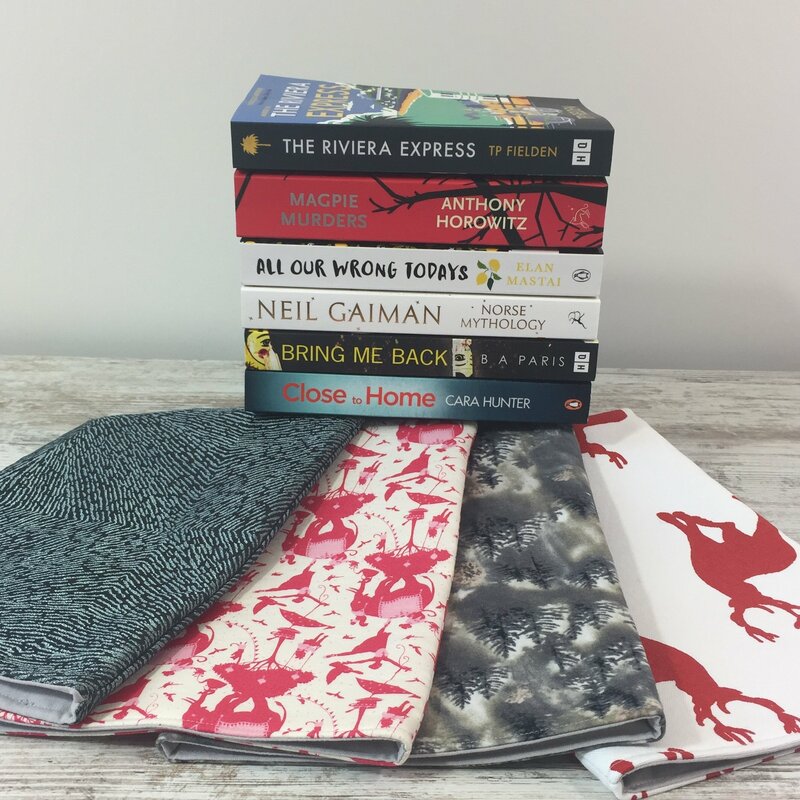 I am delighted to bring you a new book box edition for which we have collaborated with Just Sew Yorkshire to bring you great books accompanied by a beautiful book sleeve in your choice of fabrics exclusive to My Chronicle Book Box! In the cosy mystery edition the books selected are Magpie Murders by Anthony Horowitz and Murder on the Riviera Express by TP Fielden. In the crime thriller edition the books selected are Bring Me Back by B.A Paris and Close to Home by Cara Hunter. In the science fiction and fantasy edition the books selected are Norse Mythology by Neil Gaiman and All Our Wrong Todays by Elan Mastai. a gorgeous, hand-made book cosy in your choice of fabric - there are four fabulous fabrics to choose from all of which are exclusive to My Chronicle. All of this is carefully packaged in our distinctive My Chronicle Book Boxes. We ship worldwide and delivery is FREE to within the UK by tracked courier. The boxes will be despatched in 1-3 working days. The price per box is £35. Our book sleeves are handmade here in Yorkshire by Just Sew Yorkshire exclusively for My Chronicle. You won’t be able to purchase these book cosies anywhere else! They are essential for keeping your books safe and protected when out and about. The external measurements are approximately 27cm x 20 cm and will fit the majority of paperbacks. They are made from 100% cotton fabrics and and are cotton lined. Which fabric will you choose? 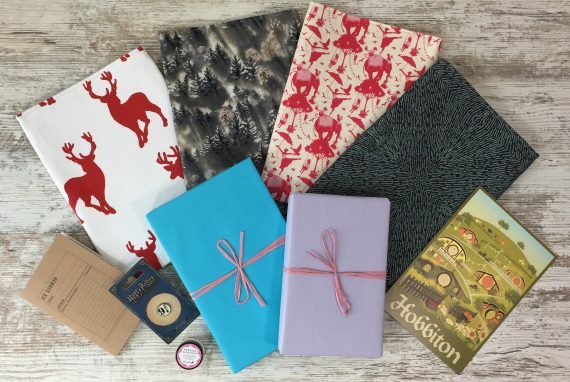 The surprise bookish goody will vary and will be similar in nature to those included in our subscription boxes such as a bookmark, an accessory or an item of stationery.